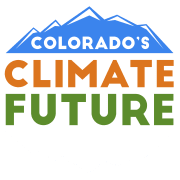 Conservation Colorado is looking for motivated individuals to help us on an exciting campaign to combat climate change and protect air quality. Over the next several months, we will be organizing community events, collecting petition signatures and photo petitions, and building a broad coalition of local businesses. Volunteers help with all of these tactics and learn about community organizing along the way! Climate change is an ever-worsening problem that is putting our planet, our health and our future at risk. Here in Colorado, it is disrupting growing seasons for agriculture, reducing our ski season, lowering river flows, and increasing air pollution. Colorado’s average summer temperature is estimated to rise to over 90 degrees by mid-century, which will increase temperature related illnesses and aggravate respiratory issues. These consequences will soon become irreversible - the United Nations Intergovernmental Panel on Climate Change found that the planet is warming faster than previously believed and that we have only 11 years to prevent its worst effects. This means that our legacy is at stake and our ability to pass down our Colorado way of life for future generations is quickly disappearing. We have to stop the main driver of climate change: carbon pollution. This campaign is aimed at tackling climate change by putting a limit on carbon pollution, thereby protecting the Colorado that we love and mitigating the worst harms to our land, air, water, and health. Through grassroots support from communities across the state, we will show Colorado legislators that their constituents want them to be climate leaders. We have a pro-conservation majority in the state House and Senate, and this year they will decide whether to pass a bill that would set a statewide limit on greenhouse gas emissions. This limit would address all sectors and reduce pollution in the five largest emitting sectors: electricity, transportation, buildings, oil and gas, and agriculture. Passing this bill would clear the skies of harmful pollutants, throw open the gates for clean energy jobs, and make Colorado a leader in climate action.